The plan went as so: I would wait until my son turned 6mths old then be back to the tracks full tilt with a tricked out ride so that after detailed testing and practice set scorching new personal best lap times. As these things often pan out, virtually none of this came to pass. 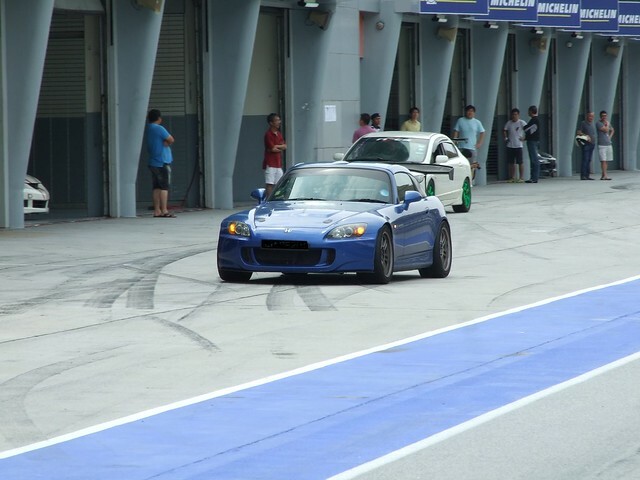 Things got complicated at home mostly revolving around my son & housing issues so after prioritizing and settling things into relative stability, I finally got back to booking a track day with Traction Circle Club only after my son turned 8 months old. Being a regular previously, I knew to expect a fairly large turnout as Traction Circle track days were fairly popular with the tracking community combined with the fact that the track day I'd booked was a Sunday. The increased traffc combined with my relative unfamiliarity with the track after 1.5 years of absence meant I'd have to significantly moderate my expectations on the kind of results I'd be looking forward to. 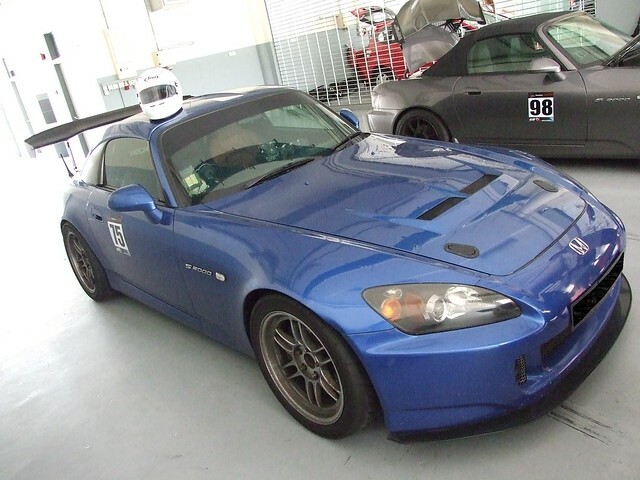 Another major issue I had to handle revolved around my unfamiliarity with the car which had evolved from a virtually stock car with budget drift tyres on all 4 corners to a stiffly sprung, aero grip enhanced, lightened and more powerful built up ride. Virtually everything was different and this would prove an additional hurdle to overcome. I had to also manage the hardened Yokohama tyres the car was shod with as I had only planned to use fresh tyres for an upcoming event so felt that these would suffice for a shakedown. The scale of how badly of all these issues would conspire together to utterly disappoint me was shocking. I was clueless at every corner with an awkward combination of fumbling to figure which gear to use for the corner, braking far too early, cornering at far too conservative a speed with unnecessarily slow corner entries and simply grasping at straws with the change in steering balance due to wheel and aero effects. Compounding all of this was the traffic and you'd have to see how ridiculously bad it was to really understand what I mean. An 80 car track day attendance meant there were cars in front and behind me at virtually every corner thus reducing the opportunity to take lines freely without worrying someone was going to go mad and dive bomb hopelessly late into the corner or spin in front of me with disastrous consequence. Some evasive action to avoid an incident on the track forced me to go full speed into the gravel which messed up my alignment for the remainder of the 3 hour trackday. I would later find how that off track excursion had messed up more than my alignment. Track etiquette is something that benefits all in the most critical part of tracking, namely safety. It suffices to say I hope that proper guidelines and courtesy on the track can eventually be more commonly practiced to allow more enjoyable & safer track days. Reduced to The Incredible Sulk after posting a wretched 2:45 despite playing with tyre temperature readings and tyre pressures with grease monkey help from my friend Wayn, I decided to just not focus too much on times and gave my Malaysian friend Steve a joyride so he could maybe give me some tips to go quicker. Back from our laps out, he noticed a knocking sound under braking and after investigating, I found out to my dismay that my remote reservoir for one of my dampers had come loose and was dangling freely. Probably due to that gravel surfing incident caused by the track incident? While wasting 30-40 mins fixing the loose part, I was aghast to realize that my damper settings were all over the place and that the weird handling that I had encountered all day might be due to the messed up settings. 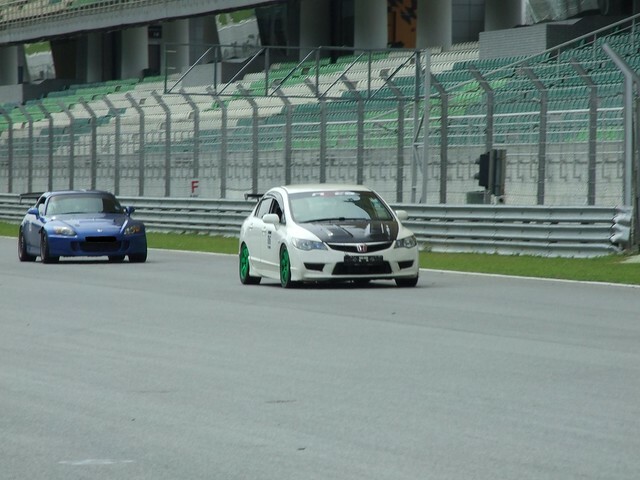 Unfortunately, by the time I realized it, it was too little too late as I only had 2-3 laps before the track day ended. Norman, if the incident was captured on video, you can show it to TCC Exco so appropriate action can be taken. James: no video. Secondly, don't want to get personal, was just a rant. Thirdly, i don't remember safety briefing explaining the etiquette In overtaking. Finally, will give the driver benefit of doubt. He could have had car problems or been poor in situational awareness. Prefer to move on rather than dwell too long as nothing major happened to me. Have already toned down the blog post to keep things neutral on this. 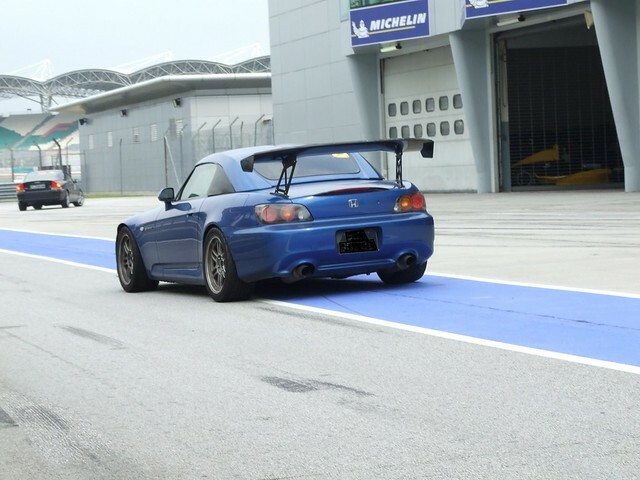 Reality is that many see a trackday as anything goes and no one should have much expectations since one pays just 100-200. This sort of mentality is nothing I can enforce. The trackday organizers are the ones with the clout to realize a positive change in attitude, if they so decide to.